Planned obsolescence is the method of stimulating consumer demand by designing products that become redundant after limited use (1). It can be presented as death dating, design for limited repair, and design aesthetics that lead to reduced satisfaction (2). These processes aim to shorten the usable life of a product in order to drive sales. It originated with the Phoebus Cartel, where a light bulb’s lifetime was reduced from 2500 hours to 1000 hours (3). This re-engineering increased profitability by forcing consumers to buy more frequently. 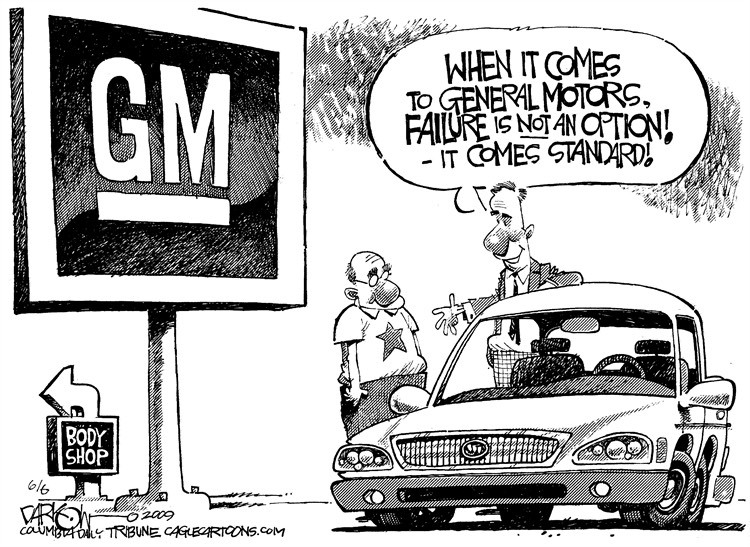 A driving factor for planned obsolescence is economic growth and profit. In a world of rapid technological advancements catering for an ever-growing global economy, products become obsolete day-by-day due to constant innovation. If a smartphone is designed to last for ten years but becomes technologically obsolete within two; it seemingly has no benefit to our society. Moore’s Law states the number of transistors on integrated circuits doubles every two years (4) – leading to an increase in processing speed and a decrease in the price of electronic products. In 2004 Motorola produced a flip phone with an internal storage of 5.5MB, which was proficient for its desired use at the time (5). In 2019 there are phones with storage of a terabyte (6).The data storage capability of phones from the past is now no longer enough to facilitate the needs of a modern world customer base who are becoming ever more reliant on the processing power of their phone in day-to-day life (7). This desire for development leads to companies shortening the lifespan of their products, thus lowering product costs and increasing the demand. The enables more resources to be spent on R&D and innovation, allowing technology to grow. This shortened lifespan is justified by utilitarianism which defines the correct action as the one that bring the greatest benefit to the most amount of people (8). This approach is not only profitable to the company but it also improves the quality of life for society. Planned obsolescence is not only an engineering practice, it is also beneficial to our society with its technological progression. If a company produces a product with an extended lifetime, a finite number would be manufactured and sold, stifling growth. Consequently, consumer demand drops causing jobs to be at risk within the company as the company is less profitable. From a care ethics standpoint, companies have a duty of care to their employees, which takes precedence over more general and impersonal moral questions. This makes planned obsolescence a virtuous system as it helps maintain job security. Kantian ethics states that one should always respect the humanity in others and not merely treat them as a means to an end (9). Therefore, using employees as a short-term solution to a brief surge in market demand and then discarding them would be immoral and harmful to economic growth. Edward Abbey stated that “growth for the sake of growth is the ideology of the cancer cell”. While it is correct to say that the removal of planned obsolescence would have a negative effect on the economy; there is more to life than GDP. Planned obsolescence feeds into consumerism; the unethical product of a society where all that is left to achieve is acquiring more material goods. The effect of this on the psyche of the population is well-documented, we now have the most socially maladjusted, unhappy, suicidal population in human history. Socrates’ description of the oligarchic man in Plato’s Republic demonstrates the impact a wealth-centric society on the human character (10). 100 million mobile phones and 300 million computers are being thrown away every year in the US (2). Recycling technologies are not advanced enough and 50-80% of “recycling” involves electronics being shipped to developing countries where workers use unsafe methods to extract recyclable materials thus exposing themselves to toxic substances (2). As the EU tries to move towards a circular economy, an economic system aimed at minimising waste and making the most of resources (11), it is starting to regulate durability through the Ecodesign Directive and looking at the criminalisation of planned obsolescence. The fact that the EU is considering making planned obsolescence illegal shows that it is an unethical process (12). The implementation of a circular economy reflects some of the teachings on absolute idealism that were laid out by Hegel in 1807 (13). It requires humans to not think of the world as an ‘other’ but rather understand that there is a symbiotic relationship between the two and that we have no sense of identity without recognising our place within the world (14). This is the antithesis of Nietzsche’s ideals which state that our drive for power is stronger than our will to survive (15). It could be argued that corporations follow these principles as their primary interest is profit, even if it is detrimental to the world around them. Having a long product lifetime doesn’t stunt innovation, new and better products are still produced, it simply makes those products accessible to people with lower income. A person could invest in a product and be confident that the cost would be justified. People with more disposable income would still buy the new and latest technology, thus encouraging innovation. Planned obsolescence is classist and discriminates against people who cannot afford to upgrade every two years. This goes against the ideals of utilitarianism as it doesn’t benefit the majority of society when it is considered that 80% of the world’s population lives on less than $10 a day (16). 1. Webster, I. Merriam Webster’s Collegiate Dictionary (11th Edition). Springfield : Merriam Webster, 2003. 2. Creative Destruction and Destructive Creations: Environmental Ethics and Planned Obsolescence. Guiltinan, J. 1, s.l. : Journal of Buisness Ethics, 2009, Vol. 89. pp. 19-28. 3. Krajewski, M. The Great Lightbulb Conspriacy. IEEE Spectrum: Technology, Engineering, and Science News. 2019. 4. The Oxford Dictionary of Phrase and Fable. New York : Oxford University Press, 2005. 5. Motorola. Motorola RAZR V3: Full Phone Specifications. s.l. : Gsmarena.com, 2019. 6. FE Online. Humongous 1TB Storage! World’s 1st Smartpone with such Massive Capacity is Here. The Financial Express. 2019. 7. From ‘a Box in the Theatre of the World’ to ‘the World as your Living Room’: Cellular Phones, Television, and Mobile Privatisation.Groening, S. 8, s.l. : New Media & Society, 2010, Vol. 12. pp. 1331-1347. 8. Mill, J. Utilitarianism. London : Parker, Son & Bourne, 1863. 9. The Murderer at the Door: What Kant Should Have Said. Cholbi, C. 1, s.l. : Philosophy and Phenomenological Research, 2009, Vol. 79. pp. 17-46. 10. Plato. The Republic VIII. pp. 286. 11. Ellen McArthur Foundation. Towards the Circular Economy, Economic and Business Rationale for an Accelerated Transition. 2013. pp. 24. 12. Regulating Planned Obsolescence: A Review of Legal Approaches to Increase Product Durability and Reparability in Europe. Maitre-Ekern, E and Dalhammar, C. 3, s.l. : Review of European, Comparative & International Environmental Law, 2016, Vol. 25. pp. 378-394. 13. Hegel, G. The Phenomenology of Spirit. 1807. 14. Schelling, F. Ideas for a Philosophy of Nature: as an Introduction to the Study of this Science. 1803. pp. 80. 15. Nietzche, F, Nietzche, E and Gast, P. The Will to Power. 1906. 16. Chen, S and Ravallion, M. The Developing World is Poorer than we Thought; but no Less Successful in the Fight Against Poverty. s.l. : World Bank, 2008. The introduction presented a disadvantage but not an advantage. Companies reduce product lifetime to increase sales, but that only works if customers don’t prefer brands that have longer lifetimes. Planned obsolescence – as you say in your For argument – may be a good thing when the average lifetime is known. For example, if you know most people replace their phone every two/three years then a phone that starts to perform poorly after four years, instead of six, may be acceptable. Good, persuasive reasoning in both sides of the argument. I can appreciate the “for” arguments however I don’t feel businesses generally consider these. As their whole purpose is to increase profit. It doesn’t increase costs to keep the high life span and as better technologies come along these earlier ones will still be needed for lower incomes or people who don’t want or care for the benefits of improved technology. Making the practise of obsolescence generally a disadvantage for the public. I find the arguments set out here very interesting and extremely topical, considering the recent protests in London over environmental concern we should be designing to reduce waste with technologies designed to last as opposed to items with shorter usable life. If planned obsolescence continues to be part of modern engineering design the negative impacts on environment and the public’s pockets are only set to increase.